June 1998 of the British Magazine, Practical Classics. Each issue has a variety of technical features, car road tests, mechanical how-tos and articles about collectable, rare, old, classic and collectors cars. 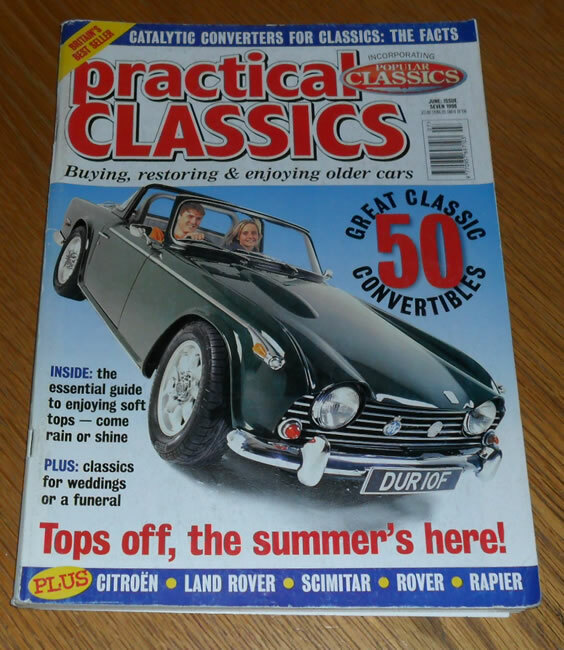 The cover feature of this issue is the Triumph TR4. 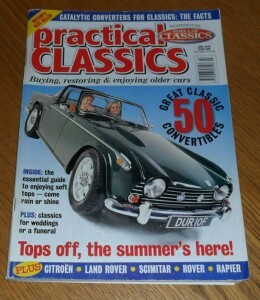 Other articles include items on the convertibles, Reliant Scimitar Coupe, Land Rovers, and many more. The magazine is in good condition, with very some marking and wear to the corners (see photo).